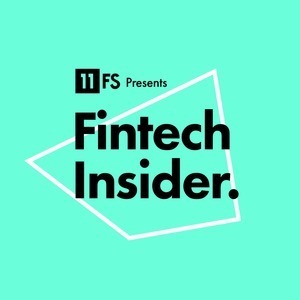 Fintech Insider by 11:FS: Ep119 – Back on the Blockchain Gang! Later this week, we’ve got another fantastic blockchain episode with R3’s Richard Brown and other great guests. Chain is a blockchain technology company that partners with financial firms to build and deploy blockchain networks that transform markets. BigchainDB allows developers and enterprise to deploy blockchain proof-of- concepts, platforms, and applications with a scalable blockchain database. Simon, blockchain lead at 11:FS, is a globally-recognised blockchain subject matter expert and fintech Influencer. He serves as a trusted advisor to the UK government, Bank of England, tier 1 banks, asset managers, and investors. He also established Barclays as one of the leaders in blockchain and helped a variety of startups flourish through Barclays Tech Stars accelerator. The post Ep119 – Back on the Blockchain Gang! appeared first on 11FS. The post Ep119 – Back on the Blockchain Gang! appeared first on 11:FS.